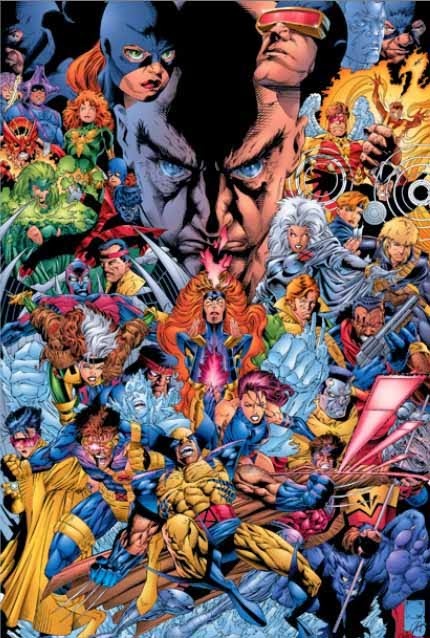 The X-Men throughout the ages in their various incarnations. …is the tagline by which Marvel Comics introduced their newest creation. In 1961, Marvel had restored the superhero to the public consciousness with their radically new approach to the genre: heroes who were as flawed as ordinary people, and thus more relatable to the reading audience. The Fantastic Four were a family with everyday problems. Spider-Man was the first teenaged solo hero who struggled to balance his life and alter-ego. The Incredible Hulk was a brilliant scientist who fought to keep his monstrous side in check. The Mighty Thor was a Norse god who was intertwined with a mortal to learn humility. And the armor that allowed Iron Man to be a hero was the only thing keeping him alive. However, what most of Marvel’s creations had in common was the fact they were ordinary humans changed into something extraordinary. The original X-Men #1, 1963. In 1963, Marvel took another new approach: heroes who were BORN with their abilities. Because of a special X-Gene in their DNA, certain people were born with the potential for a wide array of incredible abilities that generally activated during puberty. But, unlike their empowered human brethren, ordinary people had a severe fear and mistrust of these “mutants,” often resulting in prejudice and violence against them. Publisher Martin Goodman rejected the initial title The Mutants as he believed no one would know what a mutant was. So, instead being named after the X-Gene, Stan Lee and Jack Kirby introduced the world to mutants and their struggles in 1963’s The X-Men #1. Angel, Iceman, Beast, Marvel Girl, Cyclops (in their second outfits) and Professor X. Professor Charles Francis Xavier, aka Professor X, whose powerful telepathic mind was contrasted by his inability to walk, believed in a world where humans and mutants could live together in harmony. He founded Xavier’s School for Gifted Youngsters in his family estate in the fictional town of Salem Center in upstate New York. There, he sought to educate young mutants in the use of their abilities and instill his belief of coexistence in them. But, knowing that there were mutants who would rather subjugate humanity, such as his old friend and colleague Erik Lehnsherr, aka Magneto, the Master of Magnetism, Xavier created a strike force to protect humans and mutants alike: the X-Men. 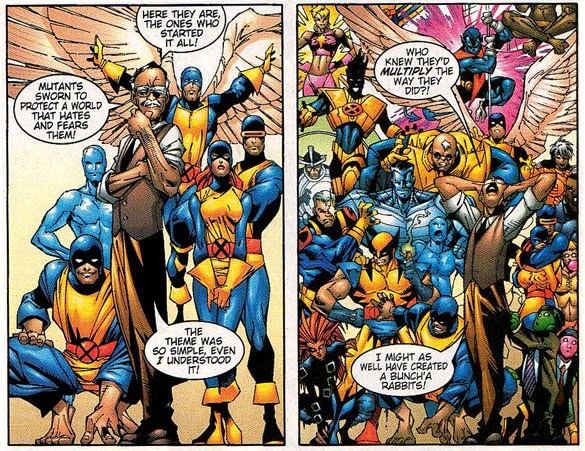 Amongst his first recruits were Scott “Slim” Summers, aka Cyclops, who could absorb solar energy and project optic blasts of concussive force; Henry “Hank” McCoy, aka the Beast, whose ape-like body housed a genius intellect; Warren Worthington III, aka Angel, with the wings of his namesake; Robert “Bobby” Drake, aka Iceman, who could create various ice structures from the moisture in the air; and Jean Grey, aka Marvel Girl, with the power of telekinesis and eventually telepathy. Stan Lee amongst his creations and everyone that came after from X-Men #-1, 1997. Together, the X-Men battled threats from both mutants and humans, trying to keep both races from breaking into all-out war with each other. They were exciting! They were relevant! They were…cancelled? 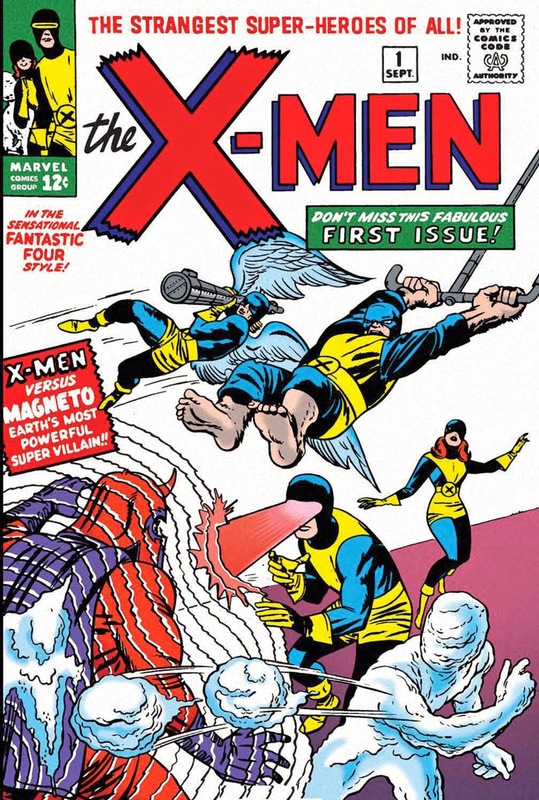 Yes, while the X-Men brought a whole new side to the Marvel universe and were initially successful, sales began to slump in 1966 after the departure of Kirby and then Lee. Despite the best efforts of new writer Roy Thomas and a slew of talented artists, who tried to generate renewed energy by introducing new team members during their tenure on the title, the series was cancelled with #66 and ran reprints until #93. That unusual move showed that Marvel wasn’t quite ready to give up on the mutants entirely. 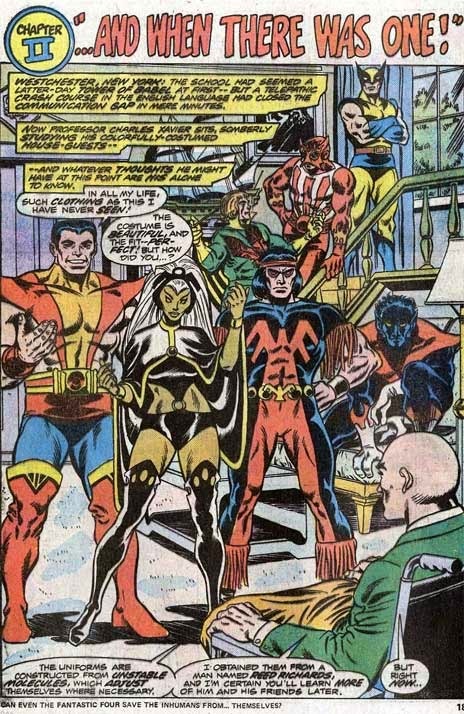 The second team of X-Men debut in Giant-Size X-Men #1, 1975. Al Landau, then-president of Marvel, decided to try and create a book that featured characters from each international market their books sold well in. 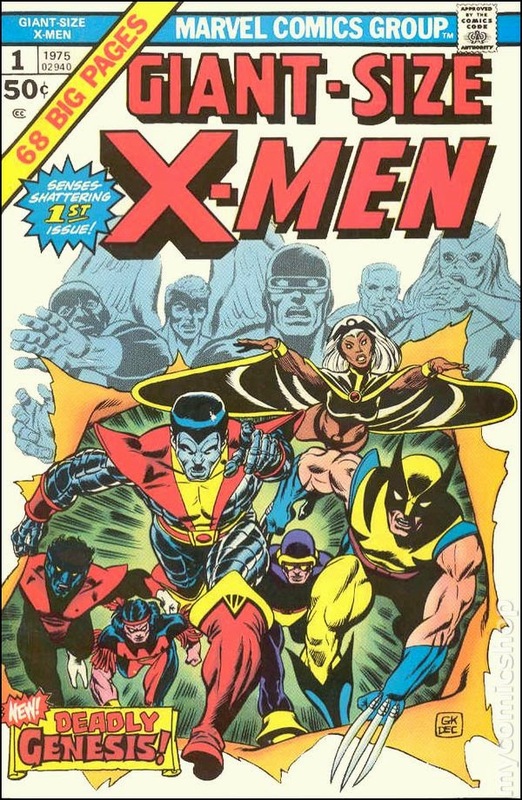 In 1975, writer Len Wein and artist Dave Cockrum attempted a revival of the series with cast of characters comprised of both new and previously existing characters, based on a suggestion from Thomas, in Giant-Size X-Men #1. The story went that the original X-Men were captured by a living island named Krakoa, and only Cyclops escaped to seek help. Xavier quickly recruited a new team of mutants he had been keeping an eye on to form the all-new team. Unlike the original team, the new team was not comprised of teenagers and came from diverse ethnic backgrounds. Newly created for the book was Ororo Munroe, aka Storm, from Kenya with the ability to control weather (a combination of two proposed character merged at Thomas’ suggestion); Piotr “Peter” Rasputin, aka Colossus, a Russian with the ability to change his skin into organic steel; Kurt Wagner, aka Nightcrawler, a West German circus performer whose demonic appearance was enhanced by the stench of brimstone whenever he teleported (and who was envisioned by Cockrum long before his X-gig); and John Proudstar, aka Thunderbird, a Native American with super strength and enhanced senses. The new X-Men suit up for the first time in Giant-Size X-Men #1. Rounding out the team were characters who had appeared previously: Sean Cassidy, aka Banshee, an Irish spy who could fly and project a sonic scream (X-Men #28); Shiro Yoshida, aka Sunfire, a Japanese mutant with fire manipulation abilities (X-Men #64); and Logan, aka Wolverine, a Canadian with indestructible adamantium claws and skeleton who was retroactively made a mutant (Marvel just really wanted a Canadian character named Wolverine) with animal-keen senses and a regenerative healing factor (Incredible Hulk #180). The ever-expanding world of mutants. Great piece! I've got to get some of those prints as posters. I hated when Banshee died during Deadly Genesis. I also hated how Sunfire was brought into Uncanny Avengers and then written out just as quickly. 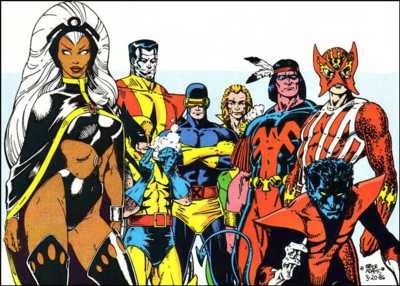 Why can't anyone stick with these Giant-Sized X-Men classic teammates? !